The time has come. BlackBerry has sidelined its BlackBerry OS in order to put out its first smartphone that runs Android: the Priv. Is this change of operating system sufficient to get the manufacturer back on track, or will the blend of Blackberry hardware and Android software land it in a jam? We reveal the answers in our BlackBerry Priv review. Update: The Priv is available at Verizon, take a look at our release date and price section for more carrier details. The BlackBerry Priv release date came in early November 2015, following months of speculation. BlackBerry was apparently so overwhelmed by the demand for its new Android device that it had to delay both orders and pre-orders. AT&T is offering the GSM device for sale and the price is greatly affected by the plan you choose. T-Mobile and Verizon are selling the Prive for US$30 per month over 24 months or US$720 retail and with an activation fee of US$20. Neither Sprint nor US Cellular has mentioned plans for the Priv. The BlackBerry Priv price is US$699.99 when bought outright from retailers such as Amazon.com and BestBuy.com. You can also pick up the BlackBerry Priv at BlackBerry's website. Right now the BlackBerry Priv only comes in black. At first glance, you could be forgiven for thinking the Priv is a Galaxy S6 Edge being sold as a BlackBerry; both devices feature curved screen edges. Of course, Samsung doesn't own the idea of a dual-edge screen, but the comparison is always going to be made. In terms of size, the 5.4-inch Priv actually falls nicely between the S6 Edge and S6 Edge+. BlackBerry made a nice material choice for the Priv – it's made from woven carbon fiber, better known for its use in the aerospace industry and Formula 1. In Formula 1 it is used to stiffen the monocoque of the racing cars; in the smartphone game it's also been chosen for its durability. This matte material actually feels more like soft-touch plastic, and the big advantage of this is its grip. You always feel that the Priv is secure in your hand. This is important because this phone is pretty big, and when the slider keyboard is exposed, it feels even bigger. There are buttons on both sides of the Priv. Power sits on the left and there's a three-button volume setup on the right: up, down and a mute button in the middle. This is obviously designed with BlackBerry's business-oriented audience in mind, and is great for meetings, the cinema or during conversations that you don't want interrupted. The front of the Priv is dominated by the dual-edge display, but below the screen is a wide speaker grill. At the edge of this is a little lip that you use to slide up the screen and reveal the QWERTY keyboard beneath. The display springs upwards quickly and snaps back into place securely. The sliding mechanism is also very robustly built. Overall, the BlackBerry Priv makes a very good first impression. It's a big phone, but it looks good and feels great. It's pretty heavy at 192 g, but not too heavy for a device this size. It's a hugely recognizable device with an attention-grabbing physical keyboard and all the BlackBerry business cache you'd remember from the 90s. The BlackBerry Priv display is 5.43-inch a dual-edge AMOLED screen just like Samsung's Galaxy devices, but we're not able to report whether BlackBerry sourced the screen from Samsung or not. Either way, it fits nicely between the 5.1-inch diagonal of the Galaxy S6 Edge and the 5.7-inch diagonal of the S6 Edge+. The QHD resolution screen provides nice contrast and color saturation and the image is crisp and lush, with a density of 544 pixels per inch. The curved edges of the display are not just for decoration; they are used by BlackBerry as an additional information area. It's nice to see how another manufacturer puts a dual-edge device to use; so far we've only seen Samsung's efforts. For example, when you plug the Priv into a socket, the right-hand edge screen will light up and display a battery meter showing your charge status. This is a little gimmicky, but there is a practical use for the left edge of the screen: the Productivity Tab. This tab is displayed as a narrow bar showing the most important information from the BlackBerry Hub when you drag the tab out from the edge. This allows you quick access to emails, calendar entries, notifications from social networks, text messages and missed calls. As soon as you hear the name BlackBerry you think of a physical keyboard. While this may not have been considered cool in recent years, the Priv aims to set that straight. There's no denying that nostalgia and novelty play a major part in the Priv's cool, but the QWERTY keyboard is more than just a gimmick. The best part about the Priv's keyboard is that it is entirely optional. The Priv can be used operated completely on-screen like any other smartphone if you want to. But if you did want that, you wouldn't have bought a Blackberry. The Priv's screen slides up to reveal the keyboard when you need it for longer emails or messages. Anyone who loved BlackBerry keyboards in the past will love the one on the Priv. It may seem quite narrow at first, but it is excellent for typing on with both hands because you have actual haptic feedback, not just a vibrating simulation of it. When the physical keyboard is revealed, the on-screen keyboard is hidden, so you get a full-screen app experience while typing: a rarity on Android. The keyboard is not just for typing though, it also serves as a trackpad. You can highlight passages of text and copy and paste them to other locations. While entering text, the system proposes three words that you can quickly insert by swiping the keyboard. It's a clever feature, and you quickly get used to it. Using the keyboard as a trackpad also comes in very handy when reading web pages. Simple swipes on the keyboard scroll the web page up and down, and you can also swipe sideways across the keyboard to scroll through home screens. When entering text, swiping right deletes the last entered word and, if you need to jump to another location in the text, a quick double-tap on the keyboard produces an on-screen cursor, which you then maneuver with gestures on the keyboard to get to the desired location in the text. The Priv is full of these intuitive and useful productivity features. To trigger faster app launches, calls or other functions, you can also assign all letter keys on the keyboard with shortcuts. BlackBerry differentiates between short and long pressure so you actually have room for two shortcuts per letter. All told, you can create 52 different shortcuts on the keyboard, which is impressive if you can remember them all. The space bar can also be used as a camera shutter button. Overall, the hardware keyboard is a very helpful feature. You can still have a swipe typing keyboard for on-screen typing, but with all these additional features, the physical keyboard has a lot to offer beyond that well-known BlackBerry typing experience. Gone are the days of BlackBerry OS being the sole BlackBerry platform. For the first time, the Canadian company has delivered a smartphone that uses the Android operating system. While Android Lollipop is the version installed on the Priv, an update to Android 6.0 Marshmallow is already in the works. When the update is due to arrive is not yet known. The advantage of Android over BlackBerry OS is obvious: the Google Play Store. If the Priv is your first BlackBerry, you won't have to live without any of your favorite Android apps. But BlackBerry would not be BlackBerry if the company had not made a few of its own tweaks to Google's operating system. The centerpiece of these changes is BlackBerry Hub. In this “newsroom” you'll find all emails, SMS, appointments and messages from linked social networks. This might seem odd at first, because you're probably accustomed to using individual apps to handle each type of message, but once you get used to having everything centralized you'll love it, thanks in part to the easily accessibility Productivity Tab. Another value-added feature from BlackBerry concerns security and privacy. The magic word for maximum security at BlackBerry is DTEK. This feature is not just a software solution, but a combination of hardware and software. Since the Priv still uses Android Lollipop, DTEK can inform you that an app, such as Facebook, wants to access GPS data. It won't be until Marshmallow is ready that you'll be able to block this access, however. You'll also get the goods from BlackBerry where secure messaging is concerned. So you've got the in-house messaging app, a meeting app, a password-safe and a secure BlackBerry on-screen keyboard option. The first two might be most useful if you're using the Priv as a business phone or BYOD device, but a password manager is a great option for anyone. What's even more interesting than the visible Blackberry apps is the BlackBerry Launcher. BlackBerry has even given the notification center a more structured approach than you'd be used to. Instead of the usual flood of notifications, the Priv lets you sort your notifications via an additional row of icons at the top. If you tap Facebook, for example, you'll filter out only your Facebook notifications. Another feature that's similar to Apple's Peek and Pop functionality – albeit without 3D Touch – is how the BlackBerry Priv lets you define and trigger a popup widget with a swipe up gesture on an app icon. This is a great feature for quickly accessing information without having to fully launch an app. Even with all these great new features, the Priv has a few secrets up its sleeve. In the security settings you'll find an option for a photo password. You choose an image and then select a single-digit number. You'll then be shown an overlay of digits over the image and you drag your chosen digit to a particular place in the image. This is now how you unlock your lock screen: drag your number to this location. Because no one will know which number you're dragging to which part of the image, your lock screen is impossible to spy on. We tested this repeatedly under the watchful gaze of other editors here in the office and no one could figure out how to get into our Priv. However, it's critical that you remember where you put the number because there is no option for a backup PIN option. If you incorrectly move the wrong number 10 times, the Priv will automatically lock and factory reset itself, wiping all of your data with it. Beyond a fingerprint, this is perhaps the simplest and most secure lock screen method we've seen, as long as you don't forget the number placement. If you're looking for a smartphone that easily handles 4K video, graphically complex games or seriously processor-demanding apps, the Priv is definitely not the phone for you. This is down to BlackBerry's roots. BlackBerry has always been about security and reliable performance in business environments, not the specs war. So don't expect any next-gen hardware in the BlackBerry Priv specs. The Priv's components are more akin to the LG G4 or Nexus 5X's than the Galaxy Note 5 or Xperia Z5's. That means the Snapdragon 808 and 3 GB of RAM (which is still nothing to sneeze at). You'll also get 32 GB of storage with a microSD card slot for expansion up to 2 TB. While being put through our benchmark suite, the BlackBerry Priv produced results on a par with the LG G4 across the board. The good news is that the BlackBerry Priv's benchmark performance didn't decrease even after multiple back-to-back runs, something most other 2015 devices do, including the LG G4 and Nexus 5X. According to our performance index, the BlackBerry Priv achieved 77.6 percent of the points scored by the Galaxy S6 Edge+ (our current best-performing smartphone). It's just a pity that the Priv gets really jerky when viewing 4K videos in YouTube. Full HD videos don't present a problem, but the Priv just doesn't seem to be able to handle the demands of 4K. The BlackBerry Priv isn't too badly equipped for sound either. The front-facing speaker provides good audio for games, movies and music, but at higher volumes the sound is clearly distorted. The in-call sound is consistently good. Even when I made calls in very noisy environments, I could easily understand the person on the other end of the phone and they had no problem understanding me. BlackBerry never placed much importance on camera performance in the past, but the BlackBerry Priv camera is very capable. The primary camera shoots at 18 MP resolution in a 4:3 aspect ratio. 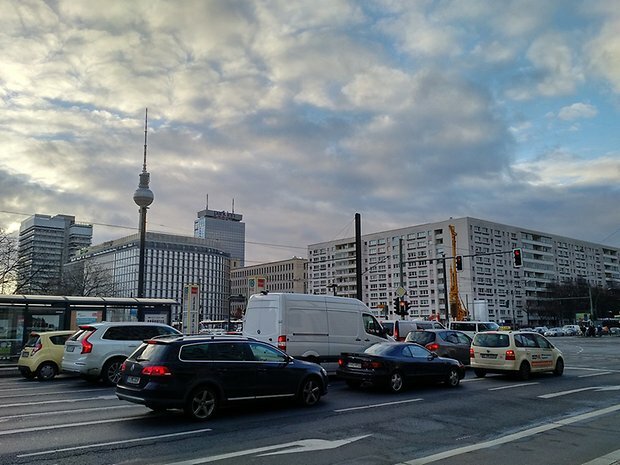 Thanks to Phase-Detection Auto-Focus the Priv focuses very quickly and accurately. It also has Optical image Stabilization, which means you get clear shots even with a bit of hand shake or longer exposure times. There's enhanced video stabilization when recording video too, but only at HD and Full HD resolution at 30 fps. The Priv can also capture 4K video at 30 fps. If you drop to 1,080p or 7,20p you can up the frame rate to 60 fps. The main camera is supported by a two-tone LED flash, which gives much more natural skin tones when using the flash. The Priv isn't exactly a selfie-friendly phone though. The front-facing camera only shoots at 2 MP and can only record video at 720p. It's good enough for video calling but not much else. On paper, everything sounds competitive with the Galaxy S6, Xperia Z5 or G4, but this is sadly not the case. As always, the most important thing is software and BlackBerry is clearly out of its depth here. The sensor may be good but the camera app is quite confusing and you only have the option to shoot in 4:3 ratio or 1:1. There is no option to shoot in 16:9 format. The camera is usable but not outstanding by any stretch of the imagination. BlackBerry doesn't have much experience with high-end cameras, so this poor performance isn't surprising, but considering the price you'll pay for the BlackBerry Priv, it simply isn't good enough. Take a look at our sample photo gallery and judge the results for yourself. The BlackBerry Priv battery has a comparatively large capacity of 3,410 mAh, even for a device with such a large, high-resolution screen. According to BlackBerry, the Priv will last for 22.5 hours of “normal” use, but as you might have guessed, this isn't exactly true. During our test period, the Priv managed around 10 hours of heavy use reliably, but it seems unlikely to us that anyone using this phone even moderately would get a full day of use out of it. In AnTuTu's battery test benchmark, the Priv scored an impressive 6,890 points. This beats the Galaxy S6 Edge+ score of 6,659, but that would be expected given than the Priv has a significantly larger battery. What the Priv is missing, is more advanced battery saving features like the S6 Edge+ has. The Priv only offers a basic battery saving mode (which you have to enable yourself), and no additional settings or controls. 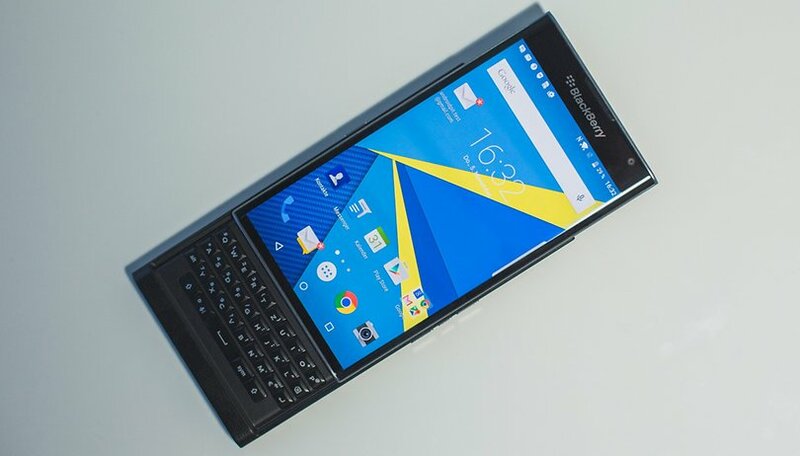 For a debut device on the Android platform, the BlackBerry Priv is a very impressive offering. It has some serious flaws, including the camera, but makes up for them with intuitive and useful productivity features and handy shortcuts. The physical keyboard is a gem and will surely please fans of BlackBerry, even if they are used to the company's own operating system. In this way, the Priv is the perfect gateway device to Android. BlackBerry has brought some really compelling features to the Android ecosystem with the BlackBerry Hub and Productivity Tab, not to mention all the great shortcuts and actions the keyboard is capable of. The Priv has breathed new life into the dusty Android smartphone market, but I doubt that BlackBerry can really compete with the likes of Samsung, LG and Sony. The Priv is an unashamedly large phone but it makes up for its clunkiness with a great display, super functional QWERTY keyboard and great materials and build quality. Its expandable storage and a capable speaker are only let down by the fact it runs an older version of Lollipop. But the Priv is all about productivity and is ultimately a test-piece for BlackBerry apps and services on Android. On that front it does a great job, and we're already looking forward to seeing what the BlackBerry Vienna will bring. I thought the review was positive and negative fairly, but not necessarily accurately. I'd suggest an honest appraisal of the camera. This does not seem to have happened in this review at all. from what I've read it's a nice phone , but $720 . come on the price is out rages no way. Shu On Kwok, are you blind I'm not saying the camera is the best, but it's solid nothing like what you say it is. As for the camera software, we've just had an update & the camera is even better. It's funny how a lot of Tech websites jump on the bandwagon once a tech company is vulnerable & wounded. You're all baying for blood. If they bought out the very best smartphone you'd all want them to fail, same with Sony, you're all wanting them to fall. Stick to what you know best, in this case "Sweeping paper cuttings off the Floor". Did you notice any overheating issues? I read about this problem in a couple of other reviews. it's an amazing effort by BB, it brings unique interesting usable software and hardware to android, stuff that no other OEM offer's, if I wanted to do business on my phone I would buy one immediately. me like most of my friends and family think that the price of cell phones unfairly outrageous. and we were all disgusted with the prices of cell phones its ridiculous and we're not going to pay that price. Good review, although with slight imprecisions right at the ed. The Blackberry Messenger app exists for both Android and iOS for a long time now. Whoever has used it, from all my known contacts, has sticked with it as the main messaging service. In my opinion, that is simply because BBM is the best messaging service available on cross-platforms. iOS messaging and video conference services come close, with the (major) downfall of being "restricted" to iOS users. I ow hardware running all mobile operating systems (BlackBerry OS10 Z10 personal mobile phone, Windows phone Lumia 830 work phone, Android Samsung Galaxy Pro tablet and iOS iPod and iPad - my wife also has the iPhone 6). iOS is the most simple OS in my opinion, and it's absolutely the most intuitive OS available. But that said, I find it VERY limitative. Unless you jailbreak. And even then, you break some limits, but gain some new ones (you can not "officially" update from then on if you want to keep the jailbreak, and have to wait for "new" jailbreaks to be able to update your firmware). EIther way, you are always "jailed" with iOS. BB OS 10 is, for me, the most EFFICIENT OS. However, it is also limited, in this case because it doesn't have the same software support that iOS and Android enjoy, meaning that there are a lot of apps that you have to get via 3rd party softwares, whilst some others don't work at all. Android, in my opinion, is efficient only on top performing hardware, in my opinion. It is also the OS which I find to cause a quicker decay to hardware performance from all OS I have used so far, meaning that a fast Android hardware today does not mean a fast equipment one year from now. Whilst this is true to all hardware (believe mainly caused by more requiring firware updates), I find that Android suffers the most from this problem. Windows is a surprisingly balanced OS, but that said, for some reason I don't find it a very "attractive" OS. Still not on windows 10 on my work mobile 'though, so let's wait for that. In sum, I really look forward to testing a symbiont Android / BlabkBerry device! my first phone was a blackberry , and I'd love to get one. but these days I don't see paying $500 or $600 for it. and that's probably what it will cost.